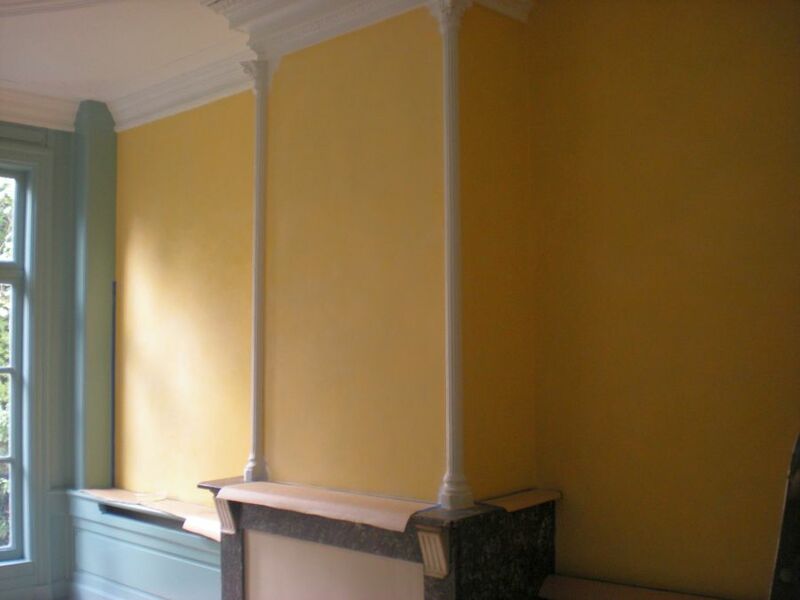 I have been spending a lot of time in Amsterdam, off and on, and have been working on this very large wall painting in the library of an 18th century canal house. 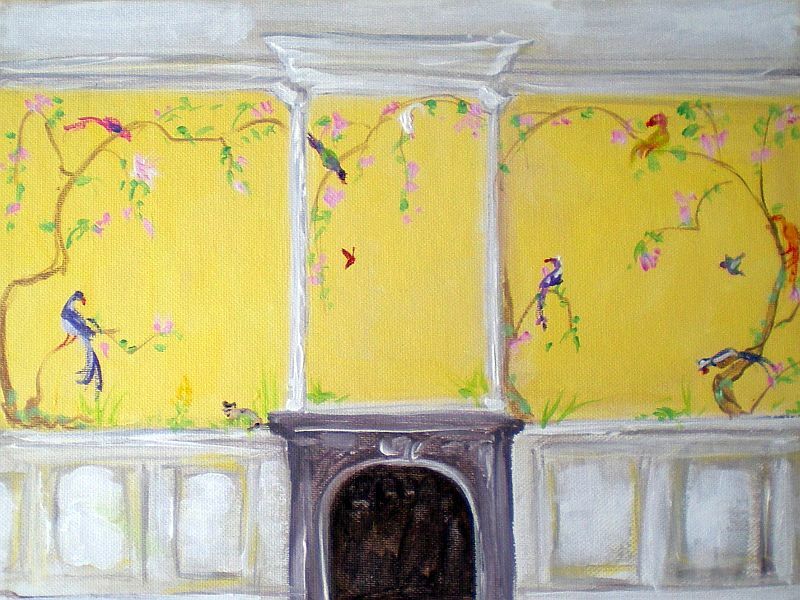 The idea is that the wall painting should have an eighteenth century connection, without it looking like we tried to ”fake” it, a modern feeling should be there as well. 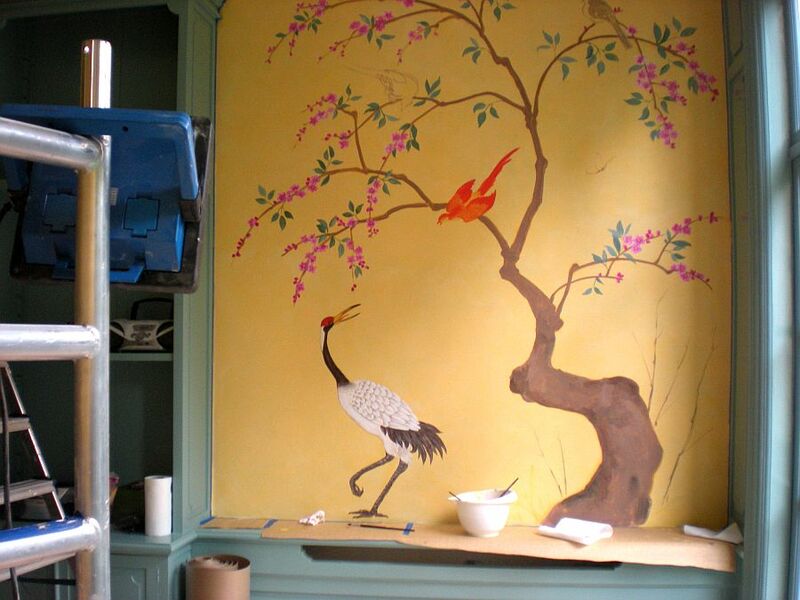 As an inspiration we chose the Chinese wall paper at Nostell Priory. 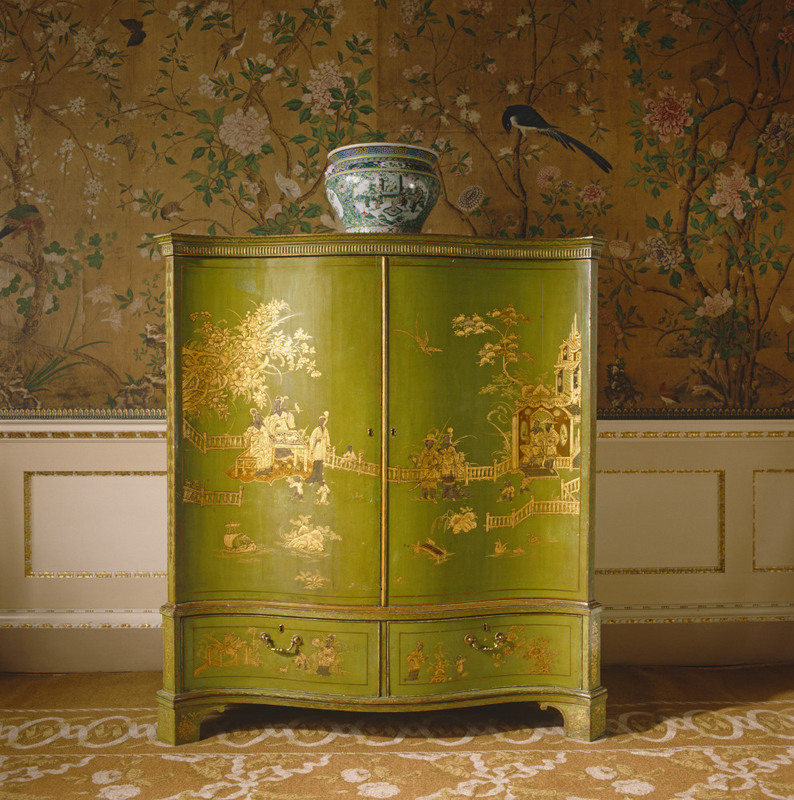 It is exceptionally beautiful, it was supplied by Chippendale who designed the chinoiserie furniture to go with it. It is however very ”busy”. I went for a more balanced custom design to fit the dimensions of the room. 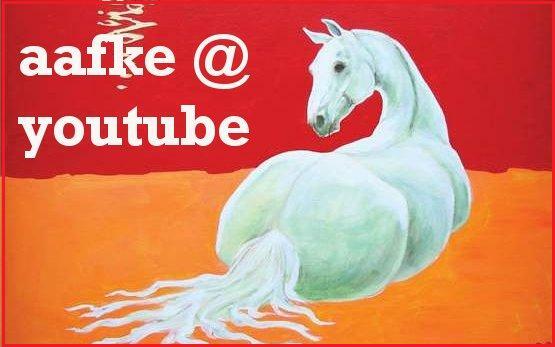 Also, the brush strokes, and my ”handwriting” will be clearly discernible. 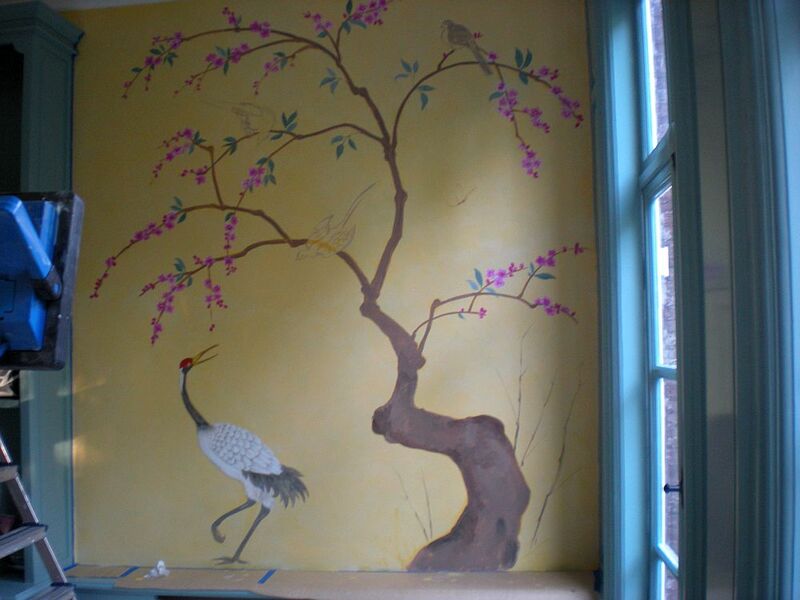 The Chinese wall painting and Chippendale furniture at Nostell Priory. The room! 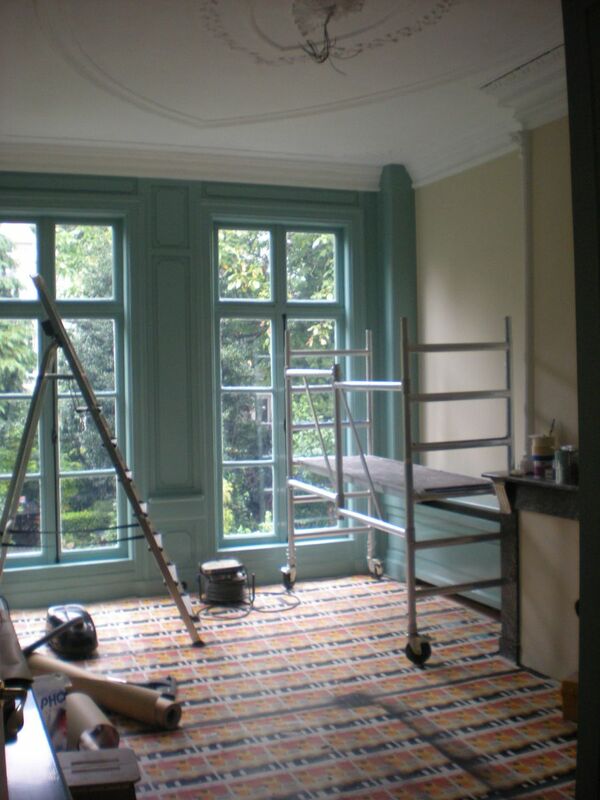 There are bits of wall to be painted on every wall except the windows. The base color is finished, it is really three colors on top of each other, the last one very subtly sponged to make the color look less of a solid block. The sketch. 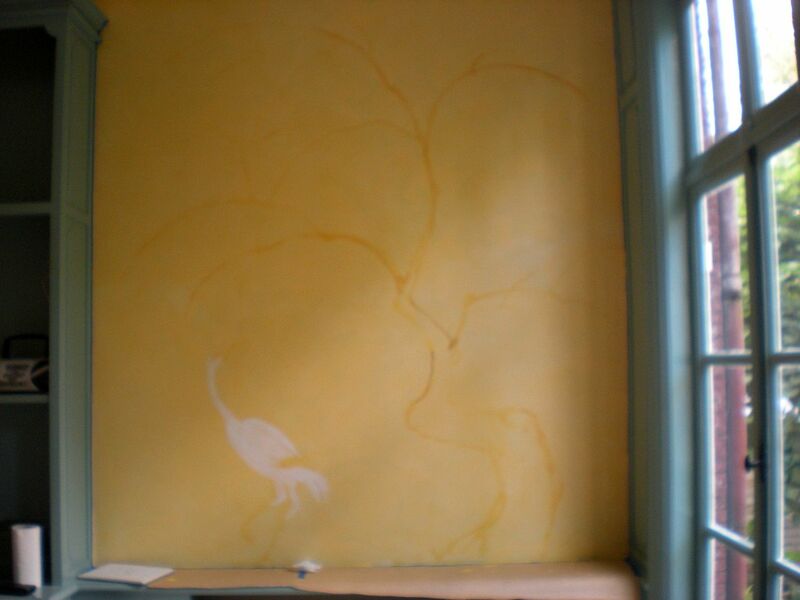 I paint directly on thge wall, I don’t use a magnifier which projects a drawing on the wall. This is of course more difficult, but it is also a lot more spontaneous. The painting is finished. Sort of. I am still wondering if I shouldn’t change a few bits here and there. Now the books with all their colors are in their cases, and the pretty knick-knacks are on the shelf, it looks very much integrated into the room. Wow! I’m so so impressed with all this beautiful painting! 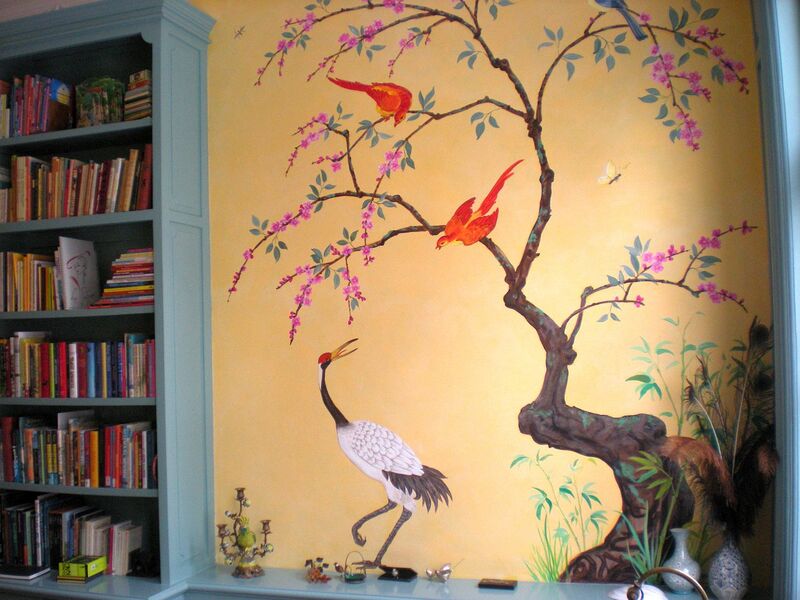 The first pic of the Chinese wall painting and furniture is so good that it almost looks real! I can kiss your hands,Aafke! They are so magical!mA! Absolutely love the conversation going on between the winged creatures! So cute! Lat, that is real… That is an actual photograph. There’s more to come too!